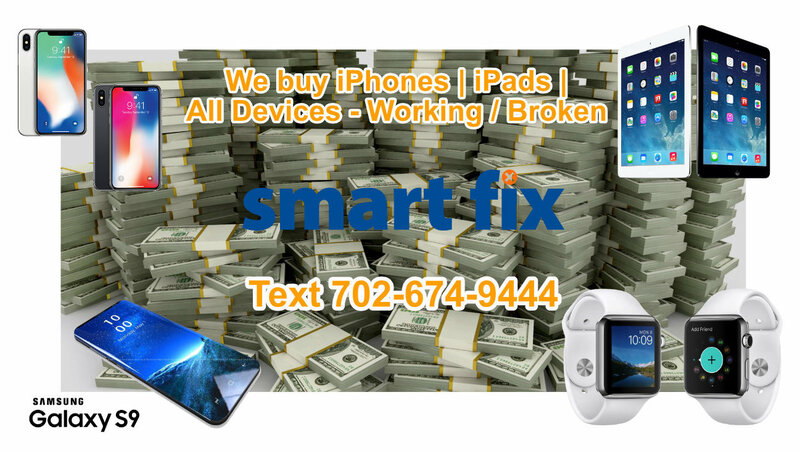 Smart Fix Phone Repair Las Vegas > Las Vegas iPhone Buyer – Cash For Devices! You Can Now Buy | Sell | Trade With Smart Fix! Looking for a local iPhone buyer or iPad buyer? We’re here Las Vegas! W made the process simple for everyone. You can find most of our device pricing below. If you want to sell your iPhone, iPad , or Macbook just stop in and get a quote. We will give you cash or trade-in credit on the spot! It’s that easy! Turn that iPhone | iPad | Macbook | Samsung …into Cash! !